Babies and young children are especially at risk of injury in car accidents, and for this reason, laws have been enacted to require the use of rear and forward-facing car seats for small children when traveling in vehicles. These laws vary slightly from state to state. Rear-facing car seats protect infants and toddlers up to approximately two years of age or 40 lbs. (18.14 kilograms) in weight. After that, children should be restrained in a forward-facing car seat or booster seat until they reach 4 feet 9 inches (144.8 cm) height or are over the state age limit for using an adult seatbelt. Front-facing car seats should only be used for older children who have outgrown a rear-facing seat. Babies are especially at risk for injury in a vehicle crash due to their large heads and delicate spines and should always be transported in a rear-facing car seat. Rear-facing seats are the safest for infants and small children and should always be placed in the back seat of the car. Child safety experts recommend using a rear-facing car seat for as long as possible. Rear-facing car seats should be used until the child has reached the maximum size and weight limit for that specific manufacturer of the seat, which varies between 35 and 50 pounds (15.87 and 22.68 kilograms), depending on the brand. Front-facing car seats are for children who have reached the maximum size and weight limits for the family’s rear-facing car seat. 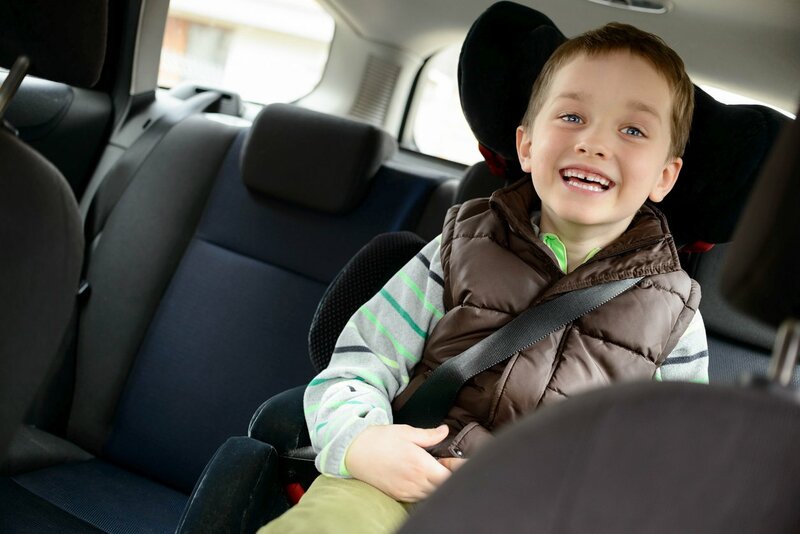 Once a child reaches the size and weight limit for the forward facing seat, they can move on to using a booster seat until they large enough for wearing an adult seatbelt, usually between ages 8 to 12 years. Some children car seats convert from rear-facing to forward-facing. In this case, it is essential to read and follow the directions from the manufacturer on when and how to make this conversion. Each forward-facing child safety seat has its own instructions for safe use. Read, follow, and save this information. On newer car seats, this information is printed on the seat. Look at your car’s owner manual for information on using a car seat with your vehicle. Secure toddler car seats tightly on the seat using a seatbelt system or the LATCH locking system built into newer cars. Both front and rear-facing car seats should be used in the rear seat of the vehicle. Only use a front-facing car seat on the front seat if you have no other choice. Do not use any type of car seat in a position with an active airbag. Many parents use a front-facing car seat mirror to see their child in the back seat more safely. Do not use a damaged or outdated car seat or one you do not know how to use correctly. Use a car seat starting with your baby’s first ride home from the hospital. Rear and front-facing child car seats save children’s lives. Use one every time you travel with a child.